A key piece of Arvo Pärt’s peerless canon, Für Alina is the Estonian composer’s beautiful dedication to a friend’s 18 year old daughter who had just left to study in London. First performed in Tallinn in 1976, Für Alina has become one of Pärt’s most-loved and widely appreciated works - regarded an early, defining example of his signature tintinnabuli style. 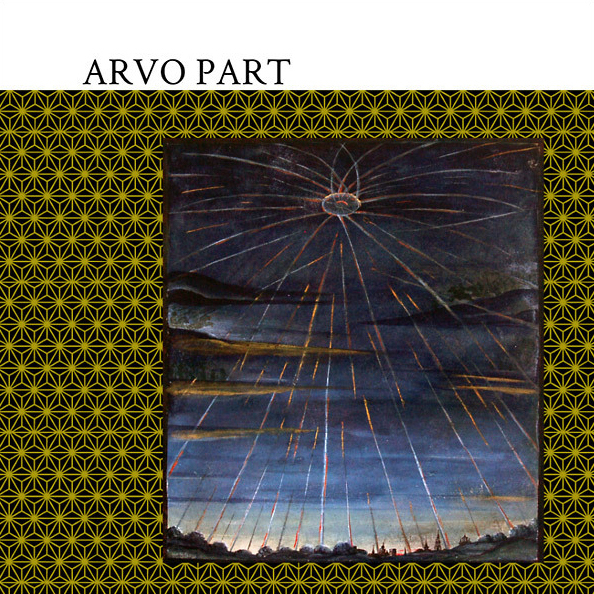 For this reissue, the great Mississippi Records have teamed with Oregon’s The Ajna Offensive to gather their favourite Arvo Pärt pieces as a sort of compilation, rather than a direct reissue of the title piece, which has previously appeared on various ECM releases. It's a lovely and exquisitely well presented package. It features two contrasting takes on Für Alina, opening with Alexei Lubimov’s, bright, if almost impending and fearful take, which subtly differs from the slower, spacious yearn of Jurgen Kruse’s version on the other side, while the rest of the LP is taken by a number of string variations on Spiegel I’m Spiegel, which has formerly accompanied the title piece on ECM releases. The other special thing about this pressing is the appearance of Alexei Lubimov’s Variationen zur Gesundung von Arinuschka (Variations for the recovery of Arinuschka), another time-stoppingly wonderful solo piano piece, written by Pärt in 1977, and also the inclusion of Fratres, performed by Vadim Gluzman and Angela Yoffe on violin and piano. Back in stock. Gold foil sleeve.